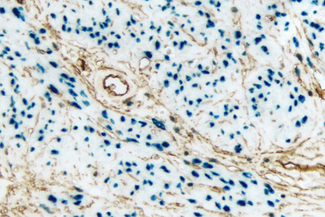 This ABC kit is for the detection of mouse and rabbit IgG primary antibodies and is sufficient for staining approximately 1000-2000 sections or fifty 100 cm2 blots. 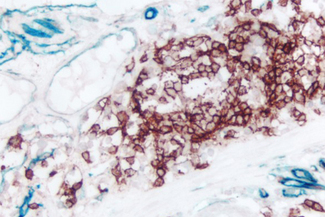 Contents include horse blocking serum, a biotinylated horse anti-mouse/anti-rabbit IgG secondary antibody, Avidin DH, and biotinylated Alkaline Phosphatase. 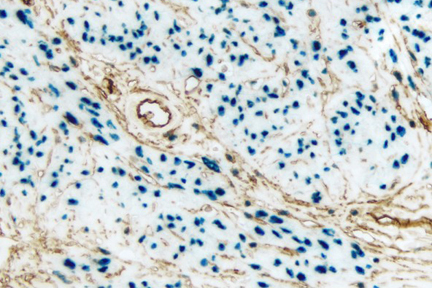 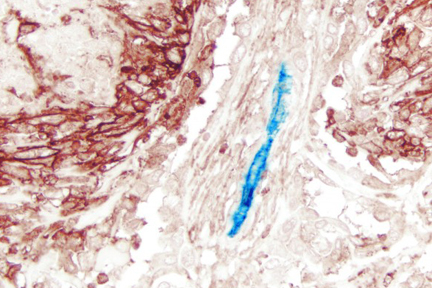 Mesothelioma (double label): M2A Antigen (m), VECTASTAIN® Universal Elite® ABC Kit, Vector® NovaRED® substrate (red); CD34 (m), VECTASTAIN® Universal ABC-AP Kit, Vector Blue™ substrate (blue). 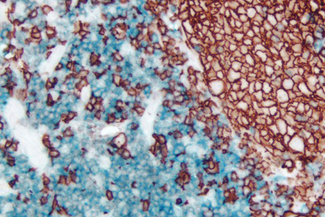 Endometrium (double label): Progesterone Receptor (rm), VECTASTAIN® Universal ABC-AP Kit, Vector Blue™ substrate (blue); CD34 (m), VECTASTAIN® Universal Elite® ABC Kit, DAB substrate (brown). 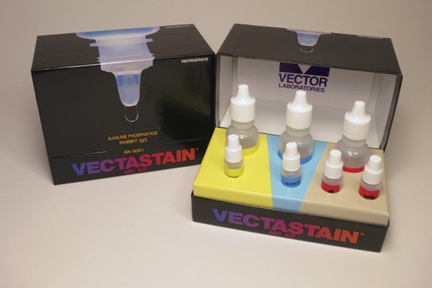 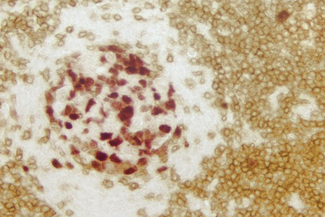 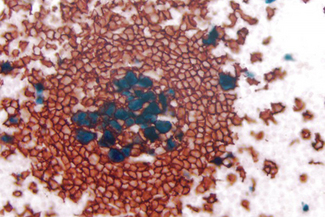 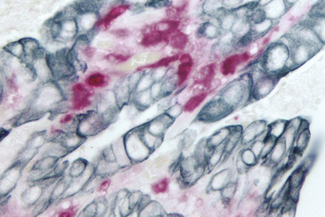 Tonsil (double label): Cyclin A (m), VECTASTAIN® Universal ABC-AP Kit, Vector Red™ substrate (red); CD3 (m), VECTASTAIN® Universal Elite® ABC Kit, Vector® DAB substrate (brown). 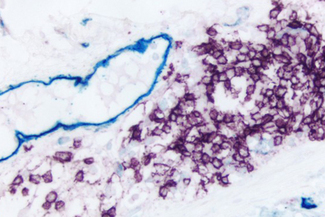 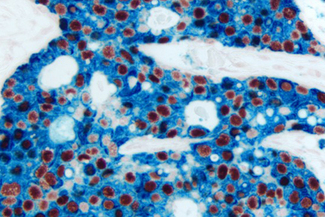 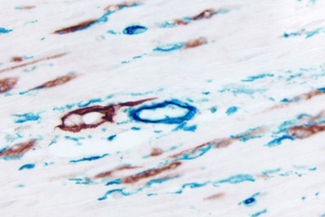 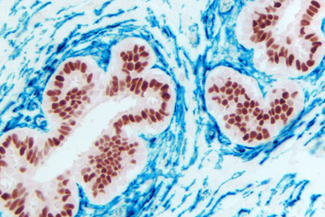 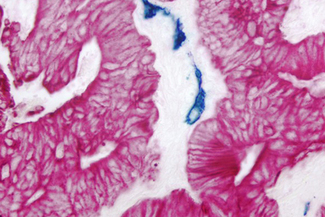 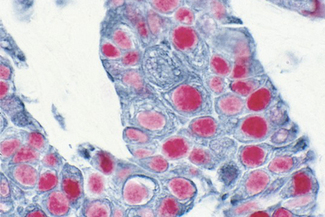 Tonsil (double label): Cyclin A (m), VECTASTAIN® Universal ABC-AP Kit, Vector Blue™ substrate (blue); CD20 (m), VECTASTAIN® Universal Elite® ABC Kit, Vector® NovaRED® substrate (red).